Despite being a chef, baker, and cookbook author, Leslie Mackie has never had a big kitchen at home. 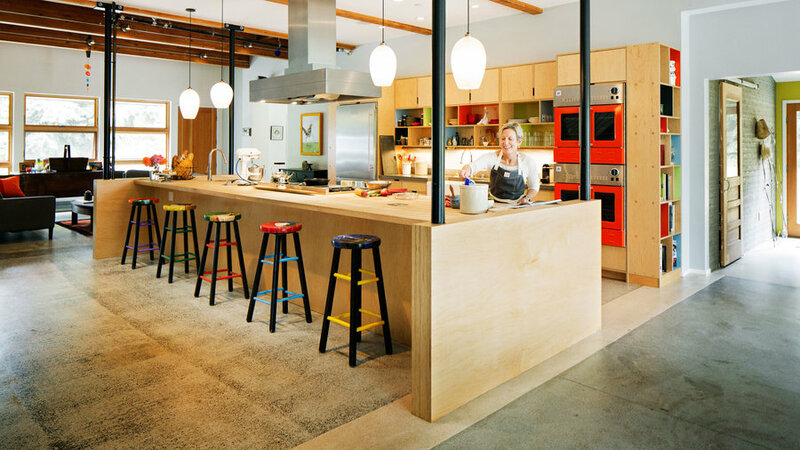 The founder of Seattle’s Macrina Bakery, Mackie didn’t expect that to change when she bought a former cabinet shop on Vashon Island, Washington, to use as a space for cooking classes and events. But as the renovation began, she decided to live on the island full time—and make the kitchen her own. Inspired by the building’s origins as a barn, Mackie asked architects Richard Floisand and Allison Hogue (floisandstudio.com) to leave the main floor open, with a farmhouse-style kitchen in the center. 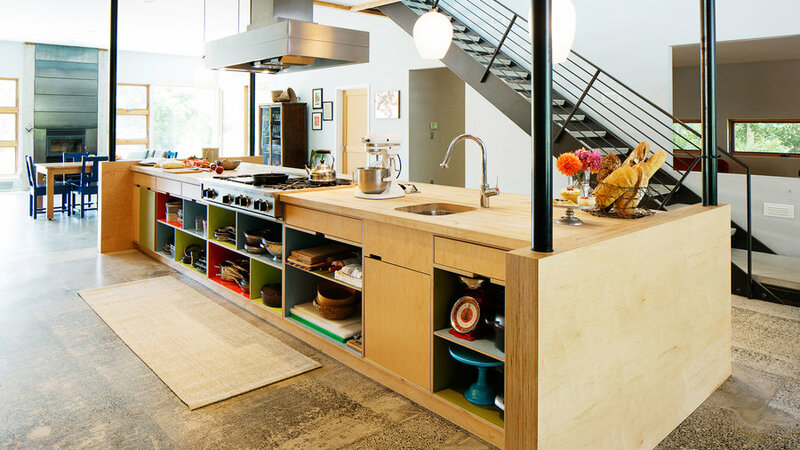 Then Mackie worked with designer Nathan Hartman of Kerf Design (kerfdesign.com) to build the kitchen she’d never had but always wanted. At 4 by 19 feet, the island dominates the first floor. But in the context of the open home, it’s perfect. Mackie uses it as a buffet for family gatherings and as a spot to film recipe videos for Macrina’s blog. 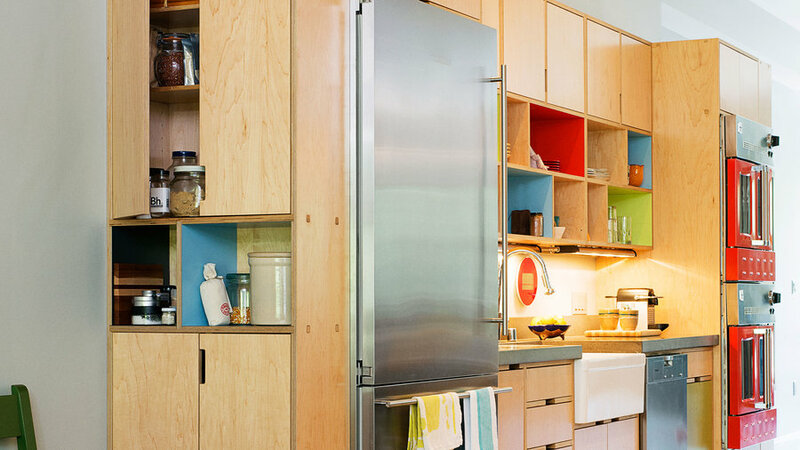 Hartman put caps on each end of the kitchen cabinetry wall to give Mackie more storage. 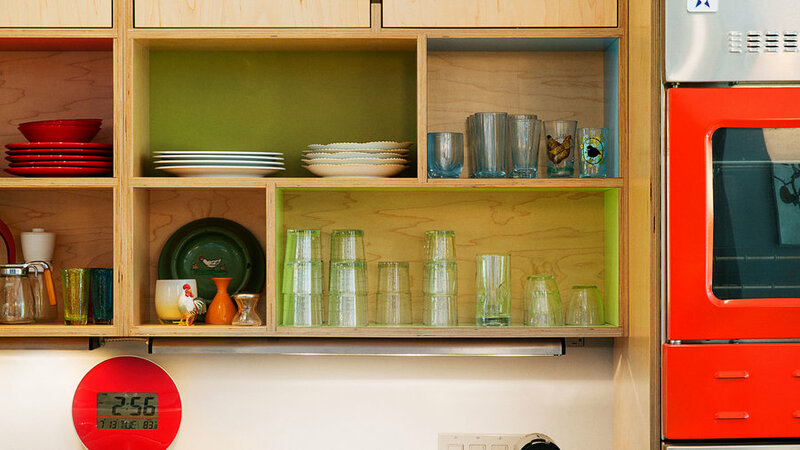 One side is a closed pantry; the other has shelves for cook­books and vases. ”Color is important when you live in the gray Pacific Northwest,” Mackie says. 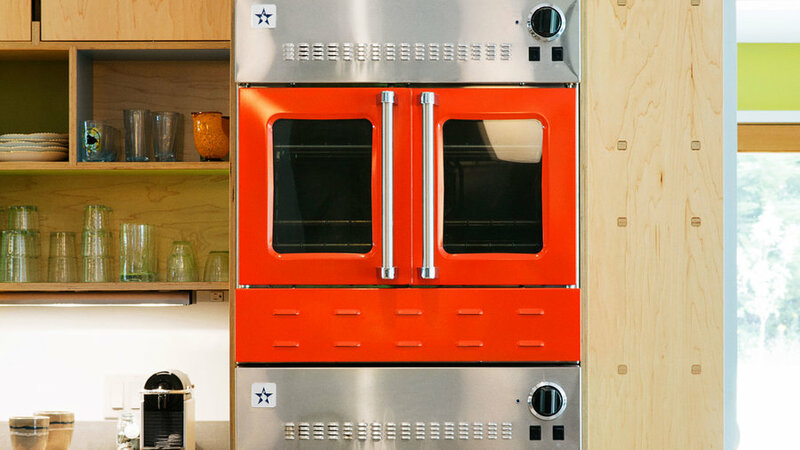 She chose a palette of red-orange, olive green, and sky blue for the shelving and appliances. bluestarcooking.com for gas wall oven model BWO30AGS. Mackie collected photos of farmhouse kitchens as inspiration before building this one. The common denominator in the pictures? Open shelving. 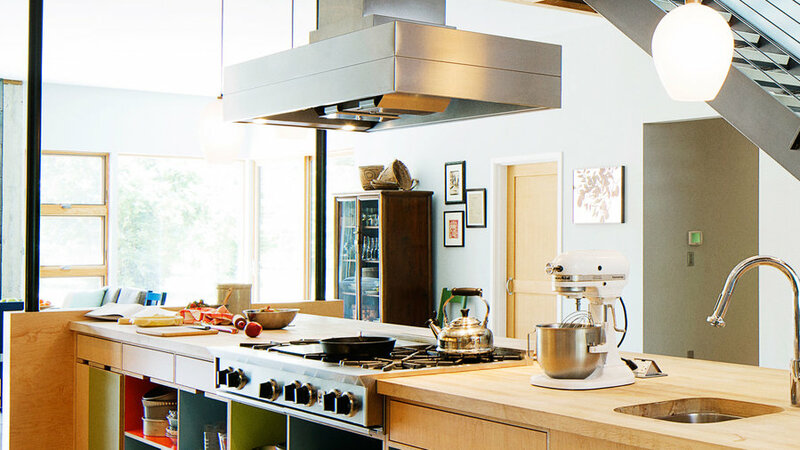 Mackie likes the look, but it’s the see-and-grab ease of her cookware that earns the shelves so much real estate—more than 20 linear feet. “I don’t have to hunt,” she says. 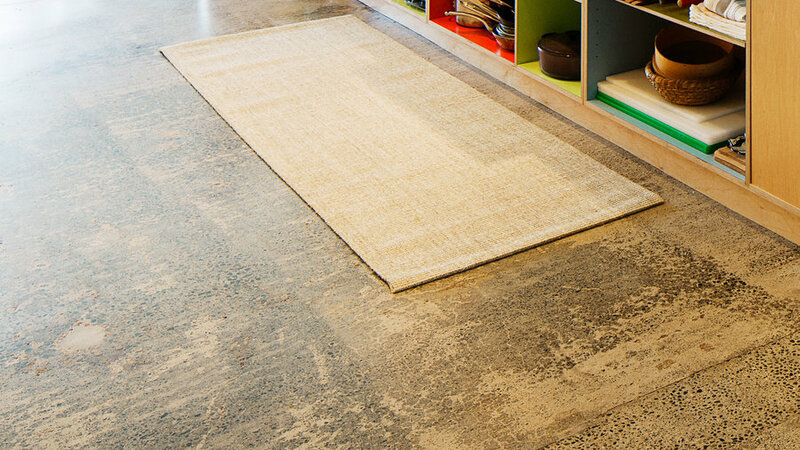 Mackie had the original concrete floor ground down to expose the aggregate and varying colors. As a chef, she’s used to standing on concrete floors all day, but she will wear clogs if her back starts to ache. of the range. “It sits in the middle of everything and is accessible from both sides,” she says. 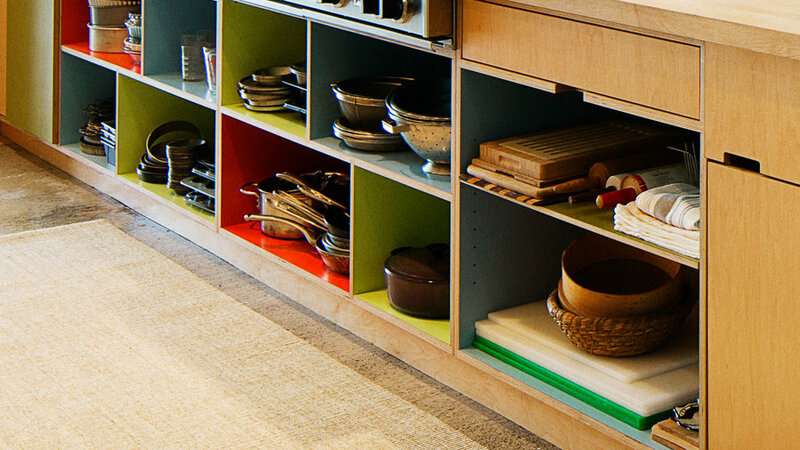 Some of the open shelves are lined with colorful laminate, a signa­ture of Hartman’s. 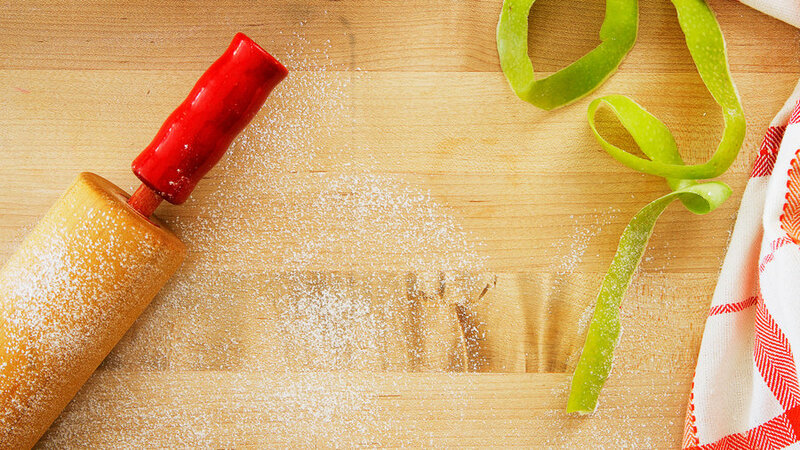 The material is easy to clean and durable—a necessity when Mackie has her 16-year-old daughter Olivia’s crew team over to bake pies. 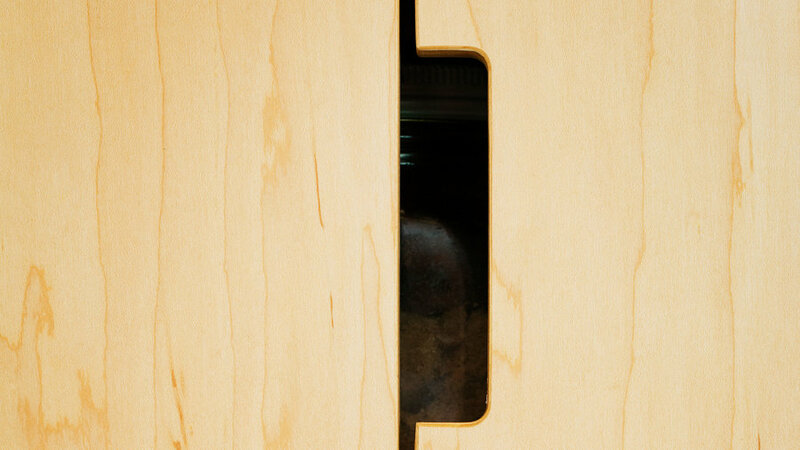 At first, Mackie worried about the durability of her sealed plywood cabinets. “My kitchen really has to stand up to wear,” she says. But the affordable material has proved itself to be exceptionally tough.